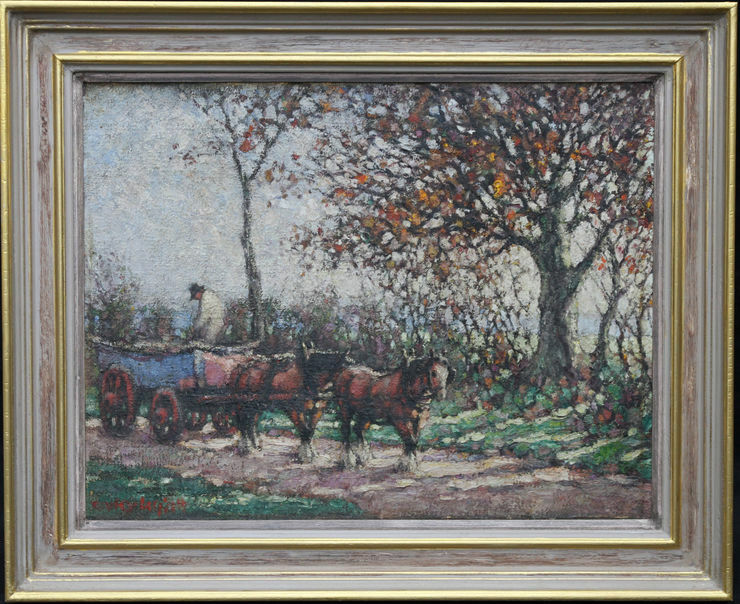 A stunning large oil on canvas by listed British artist Harry Fidler ROI RBA 1856-1935 who worked in Hampshire as well as St Ives Cornwall (see other painting in collection). 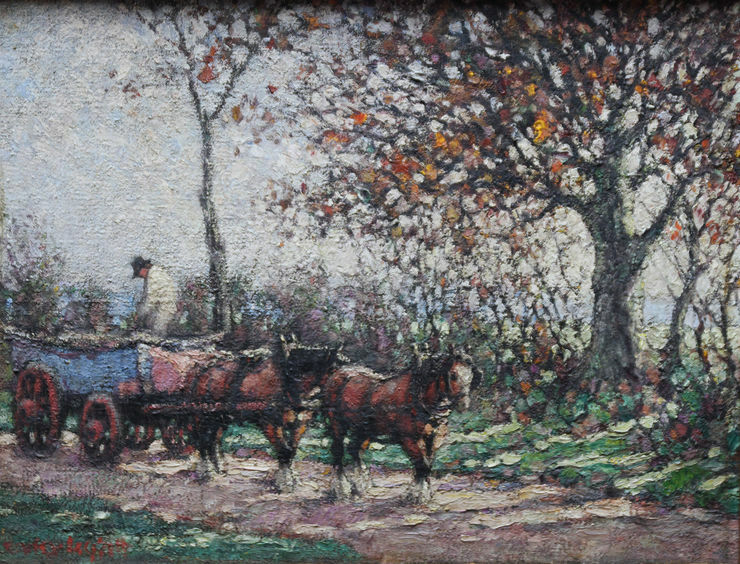 This is a original large work in excellent condition depicts a harvest wagon and was painted circa 1918. It is a stunning impressionist work with a huge array of colour. Painted in a heavy impressionistic impasto style to create the light and movement. He was known as a British Impressionist who was influenced by Van Gogh and George Clausen.